Here are some links to get you through the day. This hasn’t been the series everyone hoped for as they patiently waited three years for a Spurs vs. Warriors rematch. With Tony Parker already out and Kawhi Leonard and David Lee falling along the way, one of the most anticipated series that started out promising enough has flipped from competitive to David vs. Goliath with all the odds firmly in Goliath’s favor and a wounded David needing to accomplish something no NBA team ever has before: come back from 0-3 down. If there has been one silver lining in this entire series, it has been Jonathon Simmons. After a couple of seasons of inconsistent play and falling in and out of the rotation, Simmons finally found his role on the Spurs and could provide a big boost to what could be an entirely different bench next season. Of course, the downside is his amazing play this postseason may have priced him out of the Spurs market range. Ignore the what-ifs and how this season is likely going to end for the Spurs, and take a moment to look back to eight or nine months ago. The Spurs had just lost their best player in franchise history/defensive anchor to retirement. They had seven new members on the team overall, including three rookies, and not much was expected from this bunch beyond maybe their typical 50 wins and, if lucky, perhaps a second round appearance. Fast forward to now: the Spurs (when healthy) can still probably be viewed as the second best team in the league (maybe a 2a vs. 2b situation with the “flipped the switch” Cavs). They managed to produce the league’s best defense despite replacing Tim Duncan with defensive sieves like Lee and Pau Gasol, took care of a high-flying Rockets offense to reach the Conference Finals in their first year without Big Fun, and are possibly one unfortunate play away from at the very least taking the Warriors to 6 or 7 games, if not more. Hardly anyone predicted the Spurs would accomplish all this heading into this season, and that’s why it’s time to appreciate what is possibly Pop’s finest job yet. 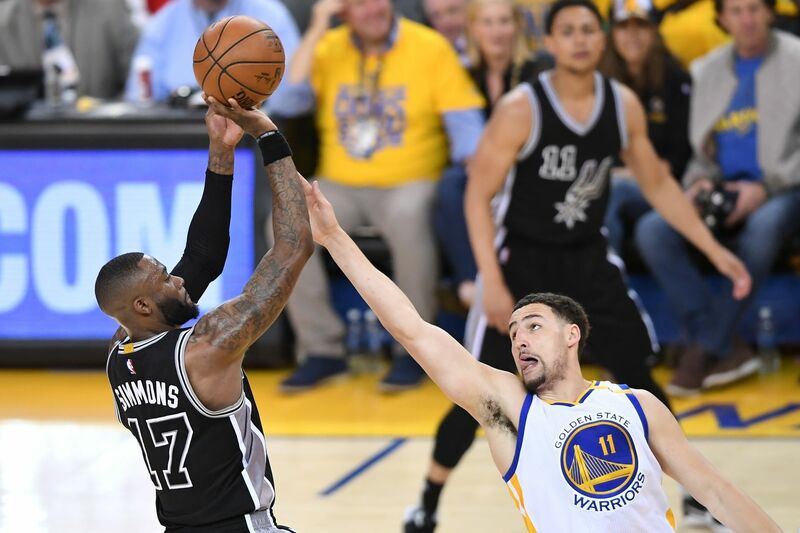 Despite sporting similar styles on the court, the Spurs and Warriors couldn’t be on more opposite ends of the spectrum in terms of culture, identity, and desire for attention. How much of that is the coaches…Steve Kerr doesn’t mind mingling with the media or dealing with “demanding” personalities, while Pop’s organization has always kept matters private and only wants players with what he deems is the appropriate attitude…and how much of it is the franchise taking on the personality of its stars? ESPN’s Kevin Arnowitz takes a fascinating dive into the differences between the two franchises and how they still arrived at the same place. There will no doubt be a looming feeling in AT&T Centerthat tonight might be it for the most beloved Spur of all time: Manu Ginobili. While everything about this season felt like a farewell tour, he maintains he’s not ready to commit to anything just yet. Regardless, because one never knows, relish tonight as much as you can and hope that if this is indeed the end for the swashbuckling Argentine, he can give us just one more Magic Manu Moment.